Southport Sharks would like to announce that former St. Kilda defender Brodie Murdoch has signed with the club for 2018. 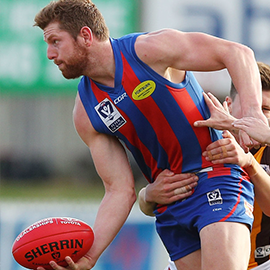 Originally from SANFL club Glenelg, Murdoch was selected at pick 40 in the 2012 National Draft. He played 22 games and kicked 9 goals during his 4 seasons at the Saints. In 2017, Murdoch played at VFL club Port Melbourne where he was part of a historic Grand Final win over Richmond.